It may be crass to blog quickly on reports of a death ("Tiger advocate mauled to death by pet") but, hey, the Darwin Awards have turned it into an industry. The ABC reports today that Norman Buwalda, 66, of Ontario was mauled to death by his 295-kilogram pet tiger. I reckon it is dumb to keep large carnivorous animals as pets. My rule of thumb is to resist the temptation to have something living in the backyard that can eat me. Mr Buwalda obviously disagreed with my view because he also had two pet lions and a cougar. Moreover, he had apparently fought in the Canadian courts for the right to keep his exotic pets. In 2004, following a tiger attack on a boy who was doing a school report on Mr Buwalda's exotic pets, a ban on keeping wild animals was put in place by local authorities. But Mr Buwalda succeeded in getting the ban overturned by an Ontario Superior court judge after a lengthy legal battle (which I guess is now looking like a bit of a waste of the legal fees). What is it about owning large deadly animals that is so attractive to so many people? I don't know anything about the specifics of Mr Buwalda's situation, but in general, society should not allow private citizens to keep exotic animals. Volunteering at the local zoo is a much better way to sate one's passion for exotic animals in my view. Keeping them is specialized, dangerous and should be part of an education and/or conservation program. Personal gratification should not be part of it. We see the trend in dog and cat breeds as well. Is it just testosterone that leads many young males to need a large, aggressive dog for example? 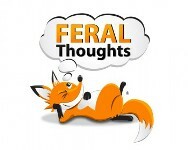 Very often there is a poor animal welfare outcome in these situations and sometimes they can lead to new populations of feral animals, so I think it's entirely reasonable for society to have a say on keeping such animals.